For practical purposes, we have to match storage to the requirements of apps—but achieving this can be a problem when active data profiles change constantly. Furthermore, as IT becomes more cloud-focused, data and apps may no longer be in the same location, so we also require products that can reference data across distance while maintaining consistency and integrity. One answer to these I/O performance problems is to implement flash caching, maintaining a copy of data in a layer of high-performance media. 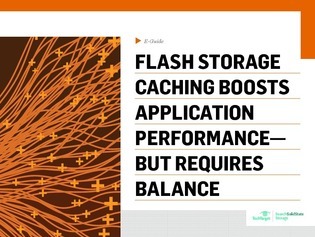 Use this guide as a comprehensive resource for evaluating caching benefits, trade-offs, 3 main implementation models, and determine where to cache in order to leverage faster media and improve I/O performance. Read on to get the essentials.